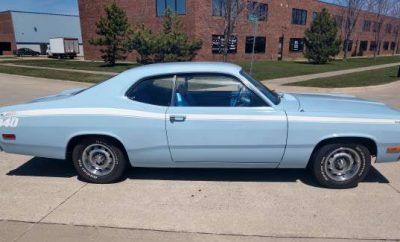 The saliva glands started working overtime when I first saw this Plymouth Barracuda listed for a buy it now price of $3,900, numbers matching, 1 of only 1,946, documentation and a seemingly working 318ci. engine. However, digging into the details a little more, this car need a complete restoration, inside and out, to say the least. The car is said to run and drive, but how far is open to question, but at least it shows the powertrain is in some sort of working order, rather than a seized up hunk of iron. Said to have only 50,000 miles on the engine is a bonus, shame it’s just not something like a 440, but the numbers matching 318 is a good second best. 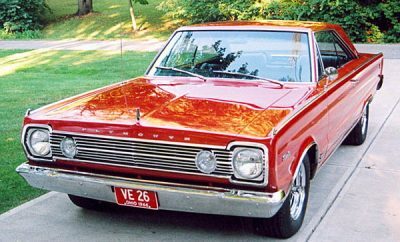 The exterior of the car initially looks okay with just surface rust, but digging into the description, the rear quarters, inner fender wells, floors and trunk will all need replacing. Most of the panels will also need addressing. The worrying bit is that the frame of the car is said to have seen better days may need replacing, which is no small job, as is the rear subframe and shock towers. The ad. even says that you may even need an entire rolling chassis if you want to start from scratch. 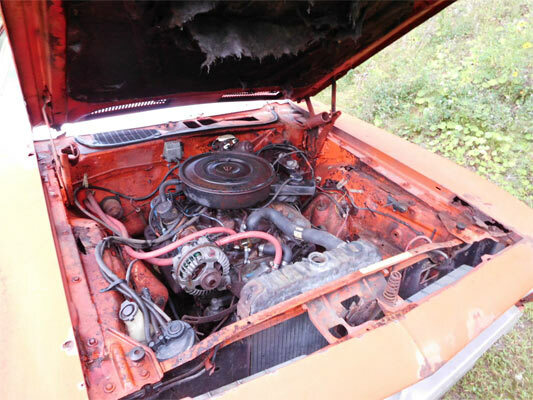 An obvious first-hand inspection will be needed if you’re serious about buying this car. After all these points above, it’s more or less a given that the interior will also need a full restoration. 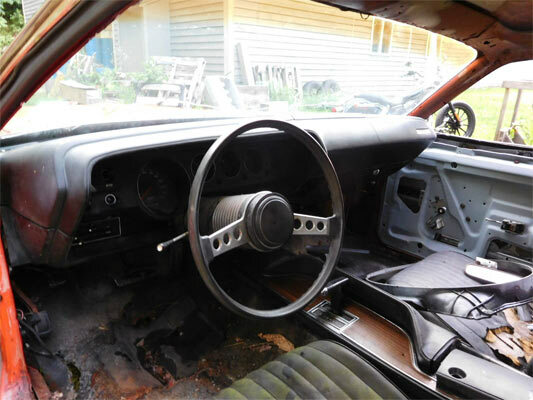 You have two front seats from a Cuda, with most of the interior parts being usable or available for repair. The gauges, horn, lights are all said to work, but take it as an interior that will need a full restoration and parts. 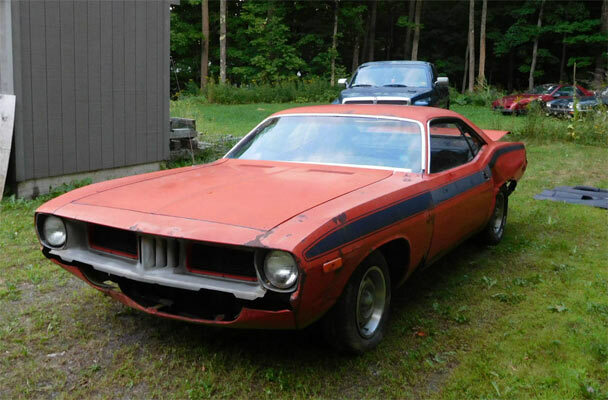 A quick check on Haggerty shows for the value of a pristine 1972 Plymouth barracuda 318 brings up $27,500 as an average value, $42,800 in #1 concours condition, which means in the right hands, you could make money on this vehicle, but you will obviously have a ton of work ahead of you. Check out the original ad. listing below. It’s a do’able restoration, but only for the brave! THIS CAR WILL NEED A COMPLETE RESTORATION BUT IT’S THERE AND RESTORE-ABLE, IT WAS TAKEN OFF THE ROAD AROUND 1997 NOT STORED CORRECTLY AND DETERIORATION BEGIN TO SET IN. THE CARS, HOOD,ROOF,TRUNK LID, FRONT FENDERS, DOORS, ROCKERS, REAR SPOILER, NOSE, SPOILER ARE ALL IN GREAT SHAPE AND USABLE. 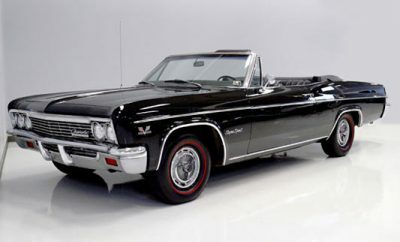 THE PASSENGER DOOR IS NOT ORIGINAL,THE REAR QUARTERS, INNER FENDER WELLS, FLOORS, TRUNK, ALL NEED TO BE REPLACED. THE DENTS YOU SEE IN THE REAR SECTION ARE NOT FROM AN ACCIDENT, THEY ARE FROM RUST SETTING FROM THE INSIDE OUT AND FLEXING BECAUSE OF NO REAR SUPPORT BOTTOM OR INNER SUPPORT WHEN WE HAULED IT OUT WE TWISTED IT ON ACCIDENT UNAWARE THAT THE REAR FRAME RAILS WHERE GONE. THE DRIVERS SIDE DENT HAPPENED MOVING IT. THE CAR ACTUALLY LINES UP CORRECTLY AND ALL THE DOORS, TRUNK, HOOD, FRONT FENDERS, AND NOSE LINE UP, OPEN AND CLOSE WITH EASE. THE WINDOWS GO UP AND DOWN PERFECTLY. THE TRIM IS ALL THERE, THE ORIGINAL GRILL IS MISSING THE ONE INCLUDED IS BROKEN. ALL THE PARTS THAT THEY DO NOT REPRODUCE ARE HERE. THE CARS INTERIOR NEEDS TO BE RESTORED BUT ALL THE HARD PARTS ARE THERE. THE 2 FRONT SEATS ARE NOT ORIGINAL THEY WERE MISSING BECAUSE THE OWNER WANTED TO PART IT OUT AT ONE POINT. THE TWO SEAT IN IT ARE FROM A CUDA AND HAVE THE FOAM AND FRAMES TO USE FOR REPAIR AND TEMPLATES.THE GAUGES, HORN, LIGHTS, ALL WORK THE TAIL LIGHTS AND HEADLIGHTS EVEN WORK. THIS IS A MATCHING NUMBERS CAR, THE ENGINE STARTS UP AND RUNS WITH A BATTERY, THE ENTIRE CAR IS LOW MILEAGE WITH THE REGISTRATIONS AND WAS ONLY USED AS A SUMMER CAR FOR AROUND 25 YEARS, THE TRANSMISSION SHIFTS. THE CAR WAS REGISTERED AND DRIVING ON THE ROAD IN THE LATE 90’S. 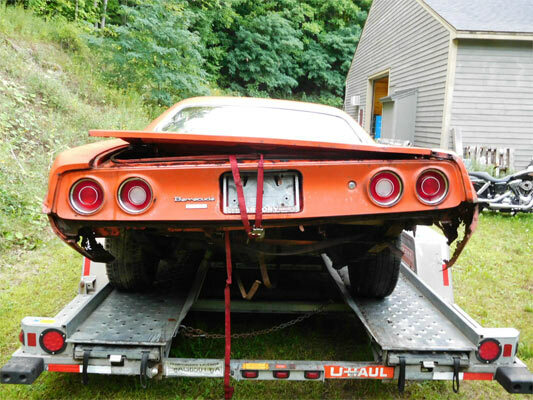 EVERYTHING IS THERE TO RESTORE THIS RARE OPTIONED CAR OR TURN IT INTO YOUR OWN PERSONAL DREAM BUILD. THE FRAME HAS SEEN BETTER DAYS BUT IS USABLE, OR YOU CAN ACTUALLY PURCHASE COMPLETE FRAMES WITH OR WITH OUT SUSPENSION, ORIGINAL OR UPGRADED DESIGNS, FAIRLY INEXPENSIVE CONSIDERING THE VEHICLES RESTORED VALUE.